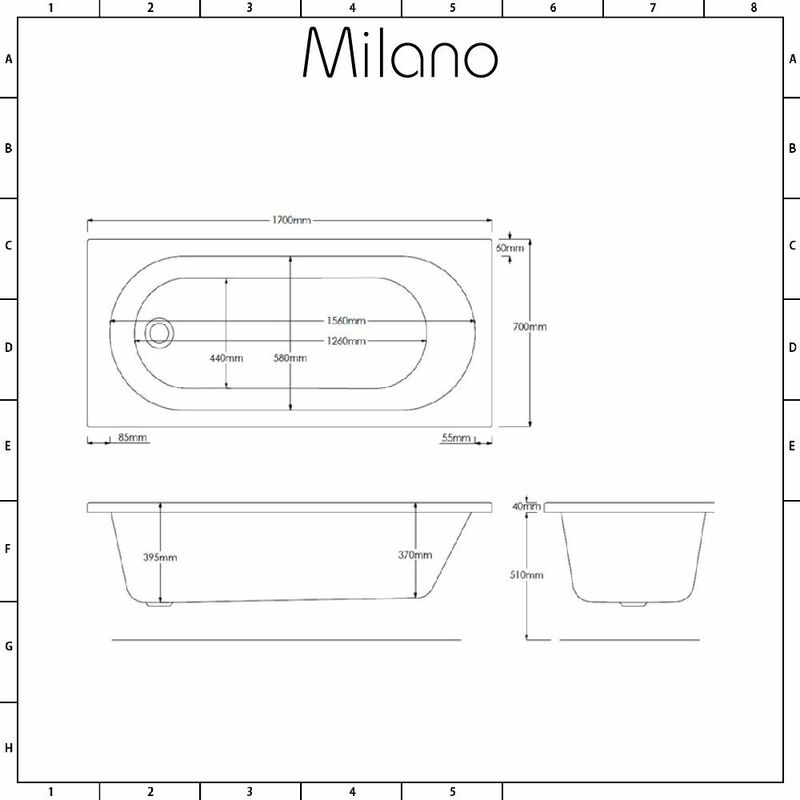 The Milano 1700mm x 700mm straight shower bath, complete with glass screen and panels, provides a comfortable bathing and showering experience. 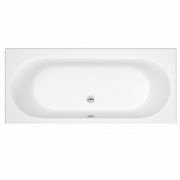 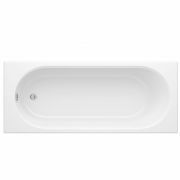 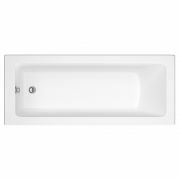 Made in Britain, the bath has been crafted from premium quality Lucite acrylic, which is highly durable and scratch resistant. 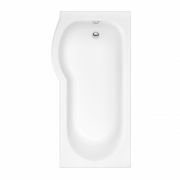 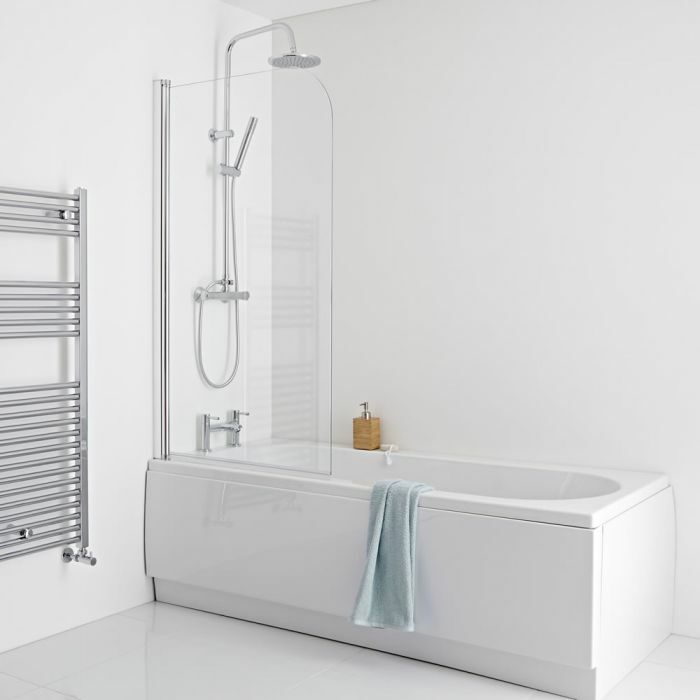 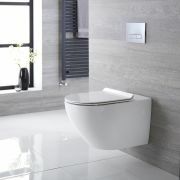 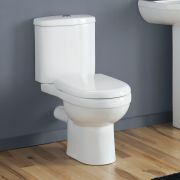 It has been reinforced with resin and fibreglass, giving you a bath that you can enjoy for years to come. 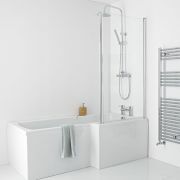 There’s ample room for a relaxing soak, and if you do want to take a shower, you don’t need to worry about the water splashing everywhere, as the glass screen will keep it all contained. 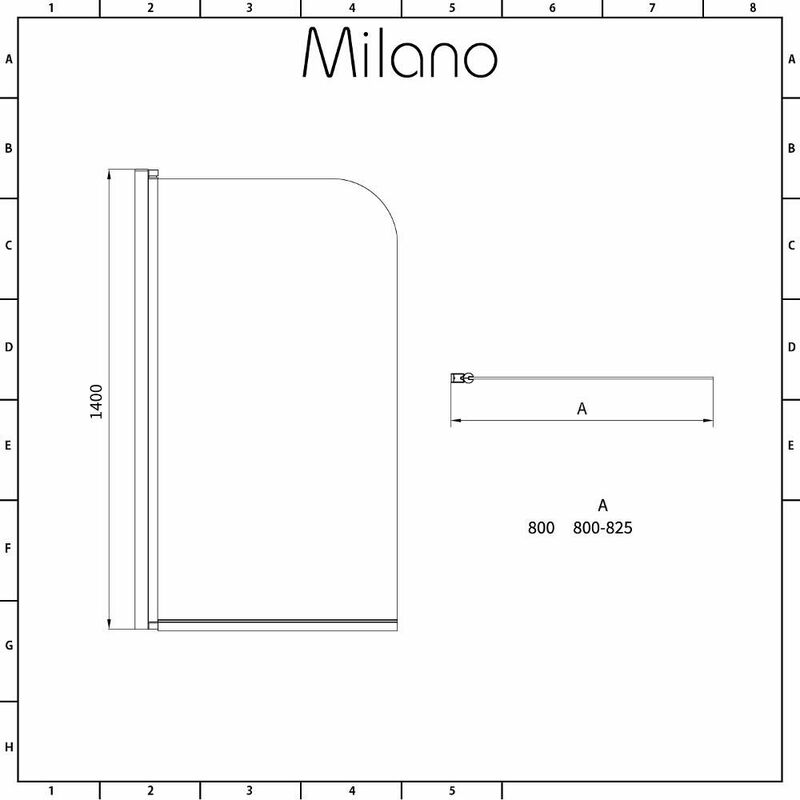 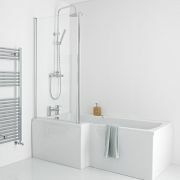 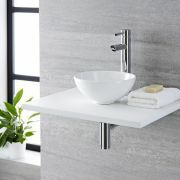 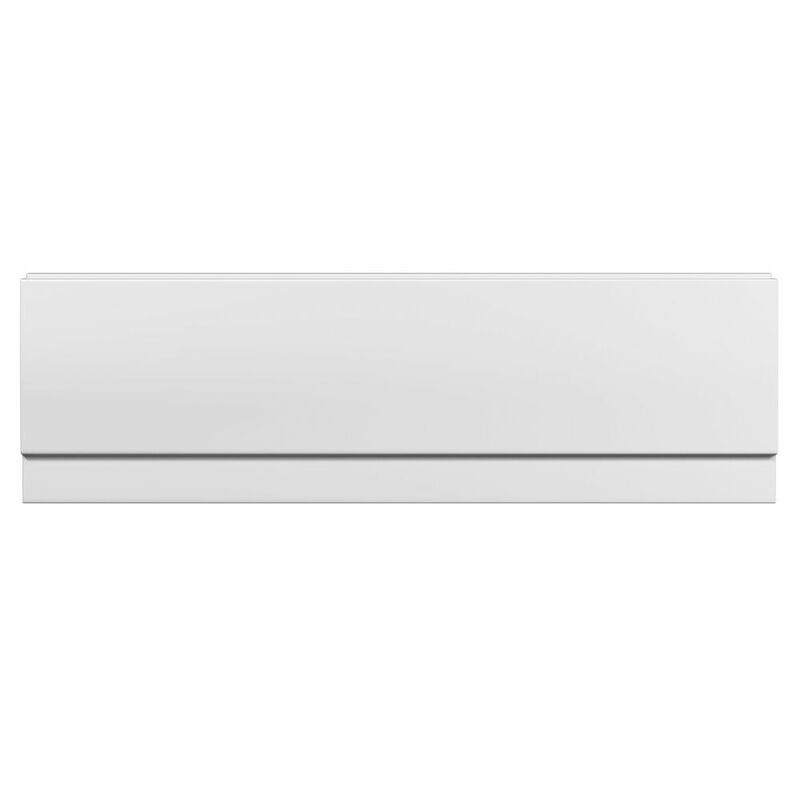 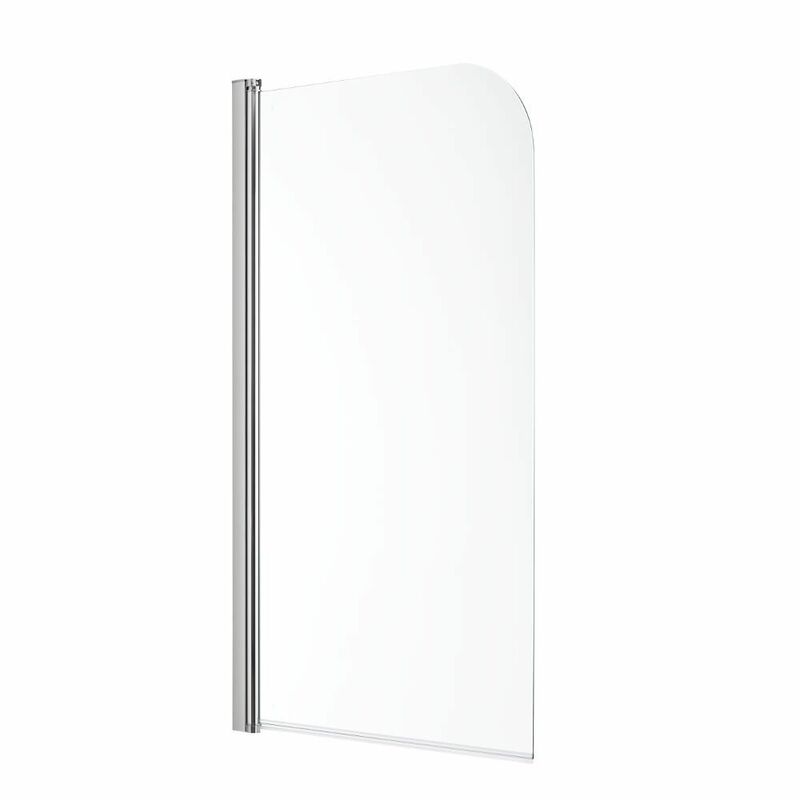 Add the finishing touches with a Milano deck-mounted or wall-mounted bath tap.